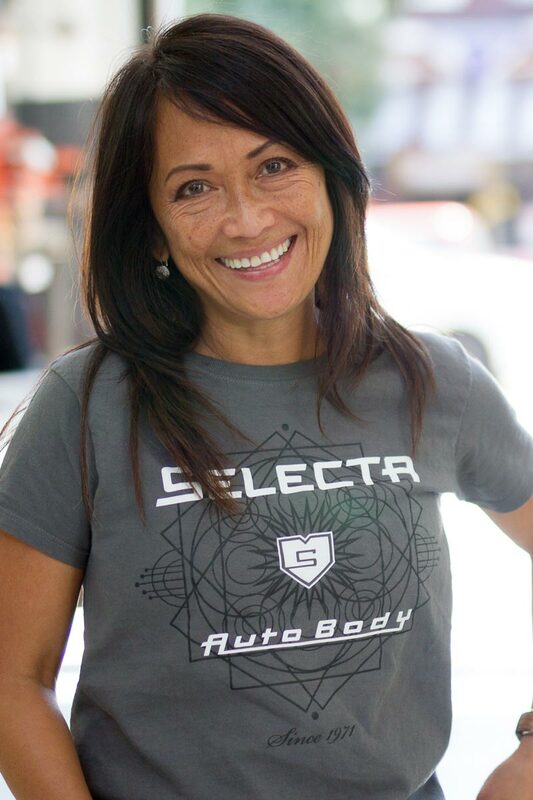 Your car's in good hands at Selecta. Our staff is well trained and committed to quality. Meet the team and read our reviews. J.R. began with Selecta in ’93 as manager and became the owner in ’03. He lives in SF with his wife and 2 sons. His father was one of the original owners. J.R. is an avid fly fisherman, known well for his barbecue skills, and attends auto body workshops and seminars around the country with regularity. Anthony started with Selecta in 2006 and is the manager of the shop. Anthony came to Selecta as Jackie and JR's cousin and has grown into one of the most technically sound automotive minds in this industry. He also makes everyone laugh and keeps the mood right in the shop. Allison might simply be the smartest person on the planet. She is the swiss army knife at Selecta. Allison runs the office, keeps all the managers on task and does all of this at two and a half times the speed of everyone else with perfection. She is the nerve center that keeps things moving for everyone. Jackie is our mother hen in the shop. Not only does she help to manage the office and Human Resources, but she also supports everyone in the shop so that they can be better. Jackie takes care of everyone, even with simple things like getting a band-aid or helping to get cars to other vendors when necessary. Like Allison, Jackie makes everything work. Emily is the sunshine in all of our lives. She comes to work with a smile every day and is the voice you are most likely to hear when you call the shop. Emily is our Customer Service Specialist and can help get you the answer to any question you have. Dieter has been with Selecta since it’s conception in ’76, when he served as co-owner. He’s originally from Osaborg, Germany and enjoys his annual Summer trips to Pittsburgh, PA – visiting friends, relaxing and working on his garden.